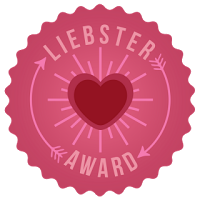 I was granted the Liebster Award by bloggers and fellow writers Katherine Hajer and David Shrock. The basic principle is that you receive the award, answer the questions posed by whoever nominated you, then nominate your own chaps and ask questions of your own. I usually forget to actually write these posts after I get awards but I realise I haven't blogged in a while and figured it was as good an excuse as any. Plus I've got two sets of questions to answer, so here goes. Do you have one place you write in, several regular places, or are you a "writing nomad" (write where you can)? I just write wherever; using Evernote on my phone on the train to work, at my desk on my lunchbreak, in the living room at home...pretty much anywhere. I don't have a fixed time that I write either - just whenever I can. I'm not really all that big on creative routines - I prefer to write when I want to so it doesn't become a chore, so that means I can't be too fussy about where I write. What are your favourite writing tools (either physical or software)? I do love the old notebook and pen, you can't really beat those (unless your pen runs out and the notebook gets wet) but other than those I tend to write in Word. I know, shocker, right? Though I do have to keep the Evernote love going - it's so useful for saving snippets of ideas, and bits of stories that I want to put into the main work when I get to an actual computer. What is your biggest writing "win" from the last twelve months? Placing The Necromancer's Apprentice with Dark Continents Publishing. Author and genre comparisons can be tricky, but what are some signs that a reader will like your books (ie: if they liked X book or like work by Y author, they should check out your books)? Oh I have no idea. 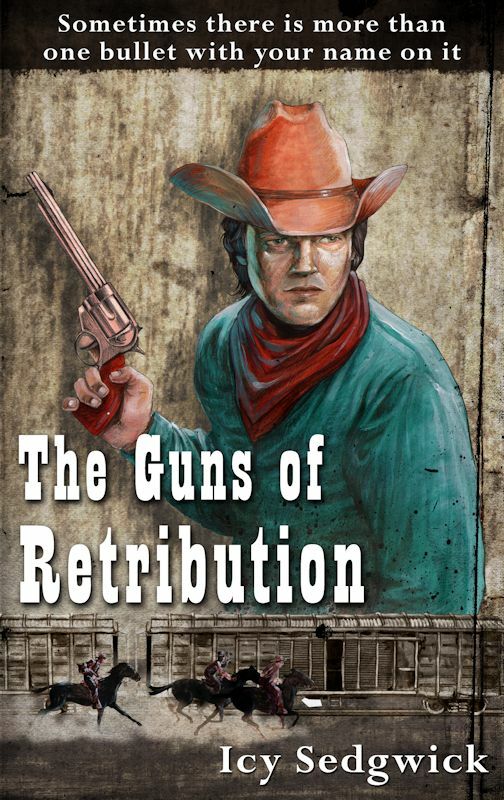 I guess if you liked something like Flashman & The Redskins then hopefully you'll enjoy The Guns of Retribution. My editor Nerine Dorman even compared The Necromancer's Apprentice to Harry Potter so I'm not about to argue with her on that one. The universe grants you power over all of writer-dom for one day. What's the one thing you make all writers stop (or start) doing? Stop sending automated direct messages on Twitter. If I want to find you on Facebook, and 'like' your page, then I will. Don't command that I do so the second I follow you on Twitter - and don't thank me for following you, because you were the one who added me in the first place. Recognising that everyone on my nomination list writes in the science fiction/fantasy/horror end of the spectrum — how much time to you spend on planning and envisioning your setting relative to character development? You can't have one without the other. Everyone is affected by their environment, so to have a character that is wholly divorced from their setting seems implausible, and obviously you make the choices you do in the context you're in. I think I prefer world building, and that's probably more what I bear in mind, but I spend the same time on both of them. Does your setting come first, your characters, or a combination of both? Depends on the story. Sometimes the plot comes first and then I have to work out where and when it is, and who the main players are. How much research do you do when working on a story? Again, it depends on the story. 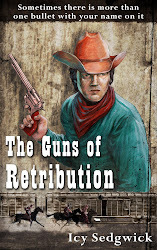 The Guns of Retribution took a lot of research because even though it's considered 'pulp', I wanted it to be as historically accurate as I could make it, while The Necromancer's Apprentice was less rigid in that regard. I've got a Victorian murder novel in planning that's going to take a lot of research because I want to sit it within both historical fiction and horror. I guess I like getting the details right so that even if someone detests the story, they can't say I didn't check my facts. What are your favourite sources for setting inspiration? Cinema and non-fiction are great as secondary sources, particularly films made in a certain era if you want to set your story there. I wouldn't write 1940s Los Angeles without watching noir. But if you can, actually visiting places is fantastic. A lot of my stories seem to end up in London because I lived there, and it's the kind of place that gives you ideas just by walking around it. London is a very generous muse. If you could spend time in one of your settings, which one would you pick and how long would you stay there? I'd like to visit the Underground City from The Necromancer's Apprentice but I wouldn't want to stay long - it's not a very nice place. I'd prefer to visit the City Above because I don't feel I know it very well and I'd like to explore it. It seems like the light, airy and gleaming twin to the squalor of the Underground City but I'm betting it has a darker side too. I'm not entirely sure I have one. I have people whose work I enjoy, and who I like, but I wouldn't necessarily call them a 'hero'. 2. What gave the beginning of your writing experience? I've been writing since I was at primary school so I can't remember the first things I wrote. I do remember writing a fake news report about the flood that washed away the original bridge in Newcastle in 1771, so I guess I've always had an inclination towards historical fiction. 3. How do you engage on a story? Do you outline or are you more of a discovery writer? I tend to write really bare outlines just so I know the main 'cornerstones' of the plot, and then the rest of it I make up. It's like joining the dots, I suppose. I've tried sitting just making the whole thing up as I go along but I don't like not knowing where I'm heading, and likewise I don't like having too strict an outline or I tend to lose interest entirely. I need a mix of the two. 4. In what genre/s do you write and why? 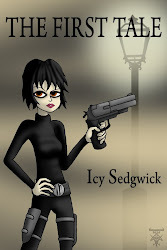 I write in a few but primarily Gothic horror, Western, dark fantasy and historical. I suppose they're what I read and what I'm interested in. I don't read sci fi so I have little interest in writing it. 5. What’s the one line you’re really proud of? I'm not really sure. I don't really keep track of things once I've written them. 6. You get to bring to life one character for 24 hours. Which one is that and why? Hm. Probably Eufame Delsenza, the Necromancer General from The Necromancer's Apprentice, so Nerine can hang out with her. 7. Do you regret reading a book? Sometimes, particularly if I've invested a lot of time in reading it and it's turned out to be crap. If I've spent weeks reading a book and the ending is flat, or whatever, then I sort of feel cheated, even if I enjoyed it up until that point, because I could have spent that time reading something else. 8. Pick a childhood favourite book. I always liked Enid Blyton's Adventure series, particularly The Castle of Adventure. 9. How many books do you plan to read in 2014? If I set myself a target I'll just fall short anyway, so I want to read as many as I have time to read. 10. You have been given a one-way rocket offering to any fictional destination. Which one would you choose? I can't think of any questions, so I will pose either David's set, or Katherine's. I nominate John Wiswell, who writes pithy and witty Friday flashes that I thoroughly enjoy, and Adam Byatt, my favourite Australian English teacher who plays the drums and writes Post-It poetry.